Sri Lanka will be without regular captain Dinesh Chandimal for at least the next Test against England – starting on November 14 – as he has been ruled out for two weeks with a groin injury – a grade-one tear – sustained during the first Test. In his absence, deputy skipper Suranga Lakmal will take over leadership duties. SLC has also brought in young Charith Asalanka – who wasn’t on the standby list – as a replacement for Chandimal. Interestingly, the 21-year-old usurped Kusal Perera and Lahiru Thirimanne – who were on stand-by when the Test squad was named. 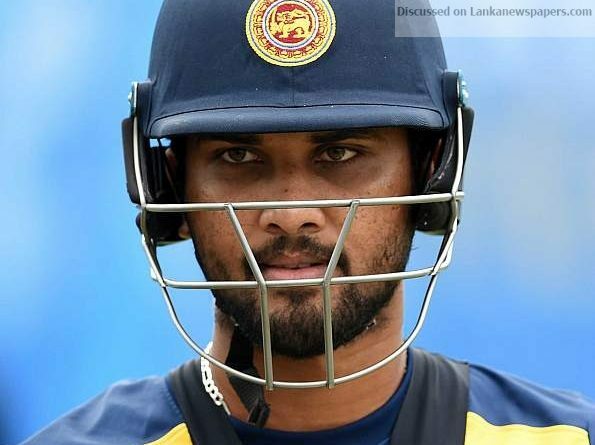 Asalanka’s inclusion is likely to have been based on his very recent outing for Sri Lanka Board XI in the second warm-up match that England played before the series in the first week of this month. In a drawn affair, the left-handed middle-order batsman scored an enterprising 63-ball 68 before retiring out. Asalanka is yet to earn his national cap at the highest level, but has led the Under-19 team in the World Cup in 2016. In 29 first-class games, Asalanka has scored 1,185 runs at an average of 26.93 while also picking 24 wickets with his off-break bowling.